After 30,000 miles, transmission fluid begins to show its age as it turns brown in color and oxidizes due to the combination of time and heat. 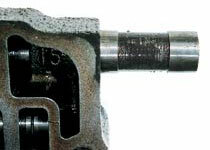 Deposits begin to form around the transmission’s many moving parts, resulting in valves that stick and gears that slip or are sluggish and chatter as they shift. 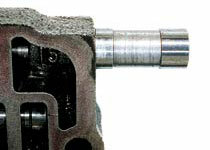 Rather than just removing the fluid found in the bottom of the pan, the entire transmission is cleaned and replenished with the use of special equipment. The transmission and its torque converter have all of their old contaminated fluid removed while new fluid and premium conditioners are added. One of the hardest working parts of your vehicle will shift smoothly and effortlessly for many more trouble-free miles.